Anyone who lives in the United States of America, eventually realizes once they deal with Paper Money they also become aware of The Great Seal, even if the person does not realize it. Because The Dollar is used as Standard International Currency, this Great Seal becomes embedded in our Psyche whether or not we realize it. 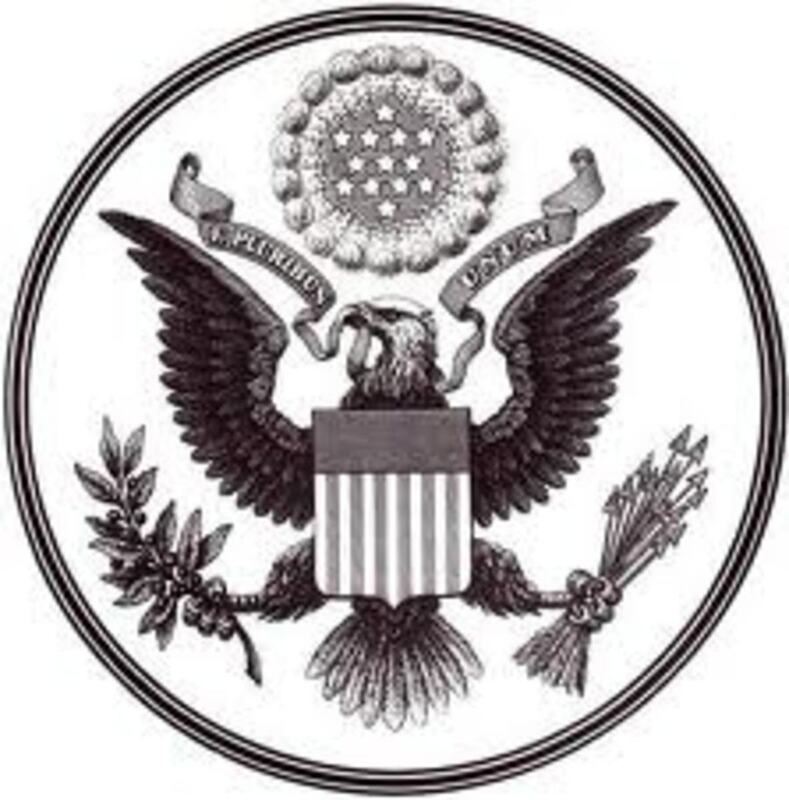 The Great Seal is a recognized symbol worldwide by both free people and indebted people. At the center of this Great Seal Mandala is the All-Seeing Eye, this is an extremely important symbol to Freemasons and Rosicrucian traditions for centuries. It should be no surprise that occultists take pride in the importance of this emblem. 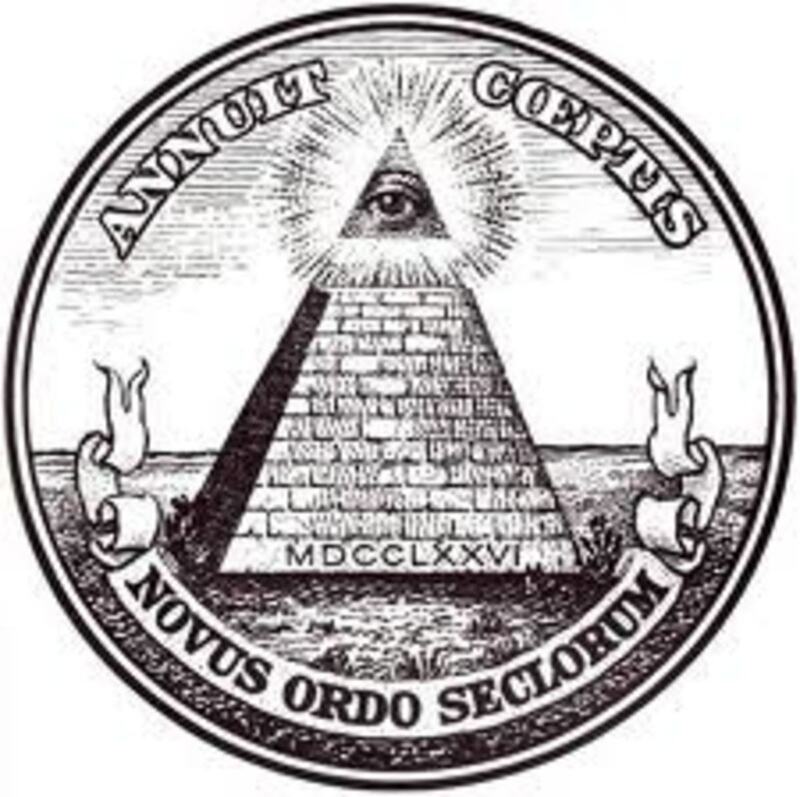 There were prior attempts to add the All-Seeing Eye to the Great Seal that did not succeed. 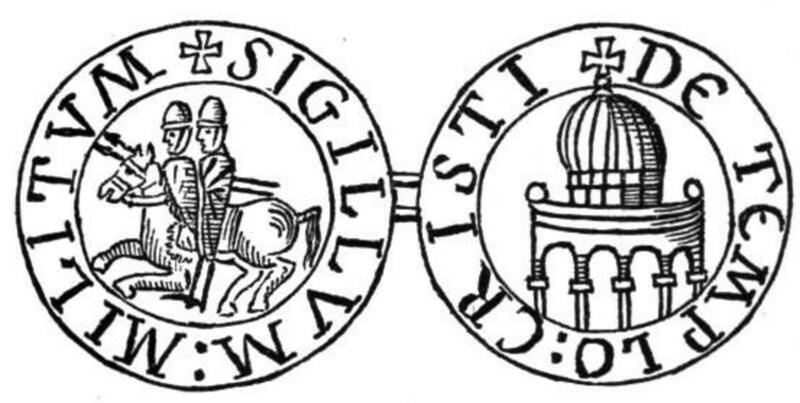 The first attempts at creating the Great Seal was a die cut from brass in 1782. During the years 1825, 1841, 1885, and 1902, there was other dies created but each time the reverse went uncut and was not used. At this point in time the Illuminati's plot for a New World Order had not progressed enough to make itself known. The term New World Order has been used by enlightened Freemasons since Weishaupt used it to symbolize a one world government. Weishaupt felt it was necessary to form a Universal government to rule the world. In the first part of the 20th century several victories over the sovereignty of the United States had already been achieved. It was after these accomplishments that the Reverse of the Seal was first used. 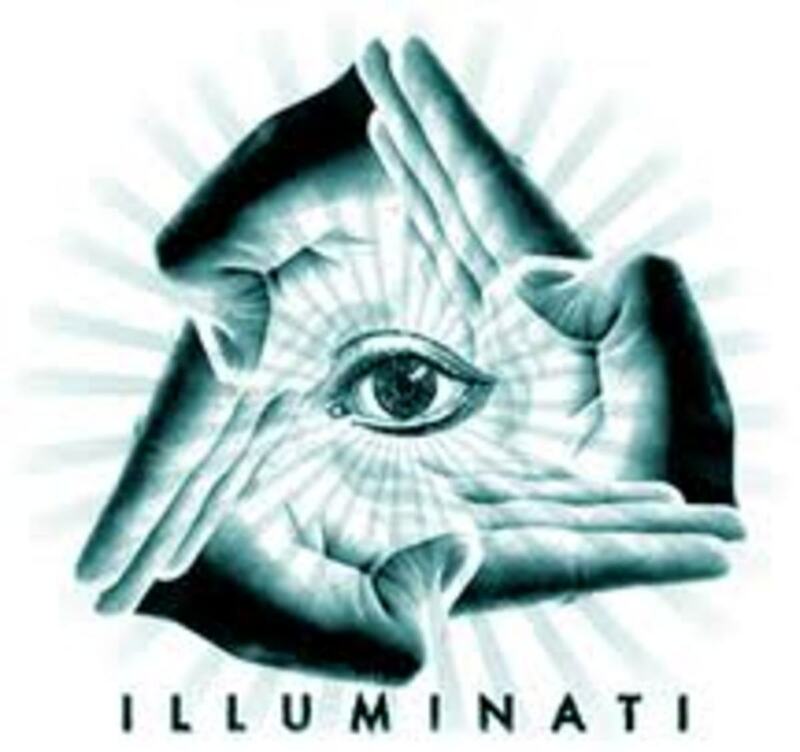 Agents of the Illuminati that were committed to the Global Government interests of the Rothschild-Warburg-Rockefeller Conspiracy, which had several steps to the New World Order accomplished. The Federal Reserve Act of 1913 was a major stepping stone in creating the One World Government. The League of Nations was established in 1920. Both the Royal Institute of International Affairs, and Council on Foreign Relations was created in (1920-21). The final step was the Foreign Banking created Stock Market Crash of 1929. Once these layers were set in place the integration of power had been completed. It was the right time for the Reverse side of the Seal, which the People of America knew nothing about for over 150 years to now be placed in the American Society. The Secretary Of Agriculture in 1934, Henry Wallace became the Vice President in (1940-1944). Wallace was a 32nd degree Freemason, he referred for consideration to the President a request to mint a coin representing the seal's obverse and reverse. Like Wallace, Roosevelt was also a 32nd degree Freemason, he agreed with Wallace's proposal but decided to place it on the Dollar Bill instead of on a coin.Wallace made the claim that the words in Latin, Novus Ordo Seclorum had the meaning of the New Deal of the Ages. When Roosevelt saw the reproduction of the Seal in color he was awed by the Symbol representing the All-Seeing Eye. This symbol denotes the Great Architect to the Freemason Order. Roosevelt was fascinated that the New Order For The Ages had been established in 1776. May 1st 1776 to be exact and could only be completed by the Great Architect. It was Roosevelt a 32nd degree Mason that made the decision to place the Great Seal on the paper dollar instead of minting it on a coin. Roosevelt has the unique distinction of introducing Socialism into the political system of the United States. Not only did he do this as a Freemason of High Rank. Roosevelt also belonged to another Secret Society. He was also a member of the Ancient Arabic Order of Nobles of the Mystics Shrine (also known as Shriners), he was at the level of Knight of Pythias. The Order of Nobles and Mystics made itself known to be affiliated with the Illuminati. 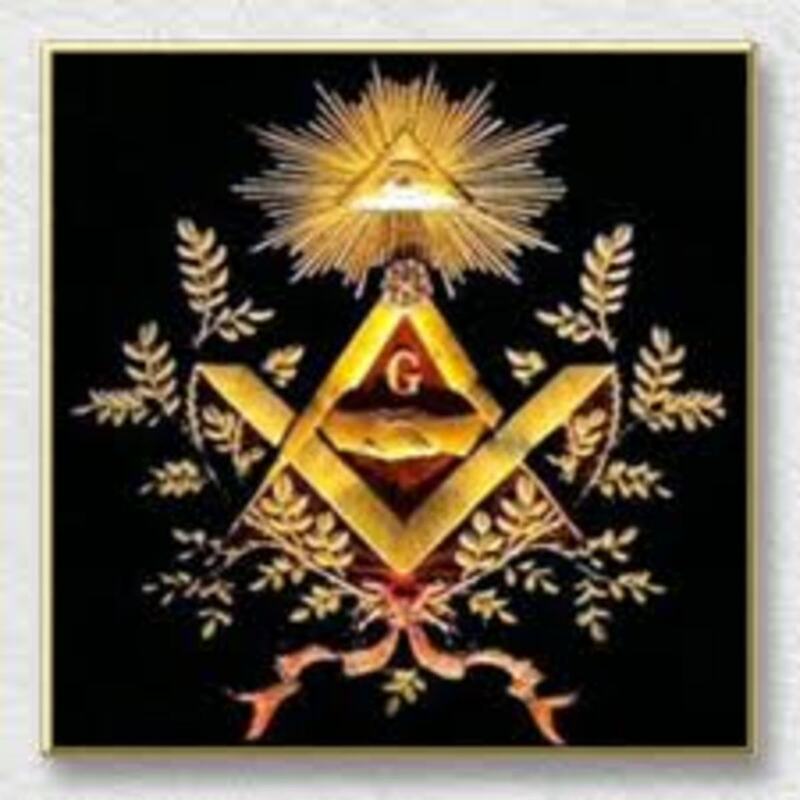 An American Branch of The Order was founded in New York in 1872, By Freemasons Walter Flemming and William Florence. the only way a person could become a Member was if they were a Freemason that had achieved the 32nd degree of the Ancient and Accepted Scottish Rite. Either that or those members of the York Rite that attained the highest degree, that of Knight Templar. The Order of Nobles and Mystics can trace their origins all the way back to the seventh century. Rumour has it that the Order was created by a descendant of Mohammad. The Order uses the symbol of a Crescent Moon with a Pyramid, Urn and Pentagram engraved upon it. The Crescent suspends from a Scimitar. This represents the Universal Mother that had been worshipped in Ancient Religions as the Goddess Isis. 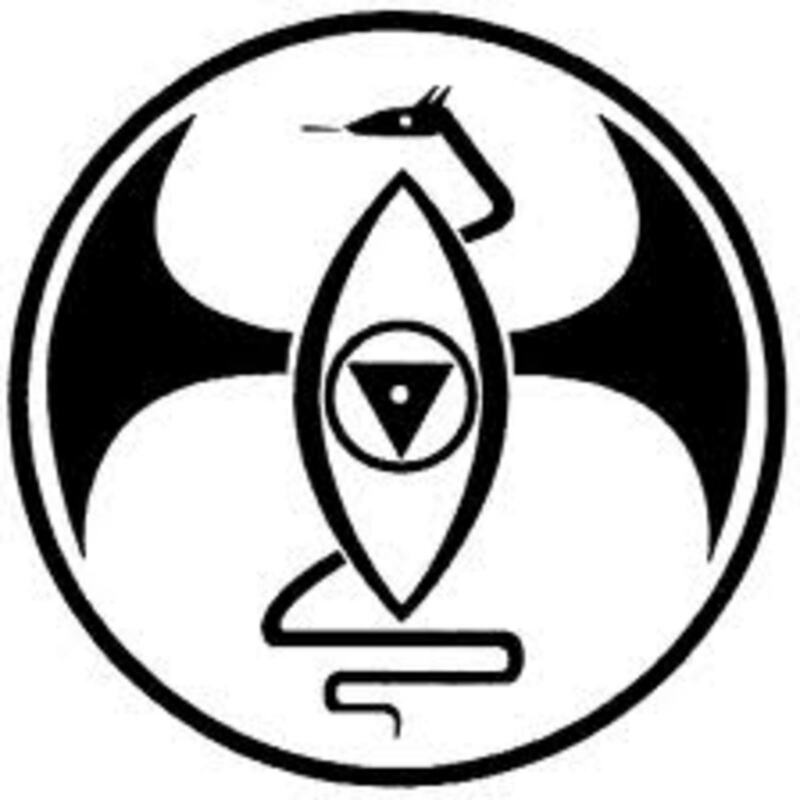 The Horns of the Crescent point downwards to represent the setting of the moon of the Old Religions during the Rising of the Sun of the New Religion of the Brotherhood of Humanity. This is as it is symbolized by the Order of Nobles and Mystics. Anton LaVey the man who founded the Church Of Satan compared a Shriner Ritual to having a resemblance to a Satanic Ritual called "The Ceremony of the Stifling Air". The Rite was begun when a member was elevated to the Sixth Degree of the Order of the Knights Templar. Any Masonic Candidate that follows the York Rite can become a Knight Templar after completion of the 13th degree of the Order. After this accomplishment the candidate may become a Shriner. LaVey describes the Ceremonial Rite. The Fifth Degree Rite of the Original Templars which guided the candidate through a symbolic journey through the Devil's Pass. This Pass was supposedly located in the mountains that separate the East from the West. Once the candidate reached a fork in the road there was a decision to be made. 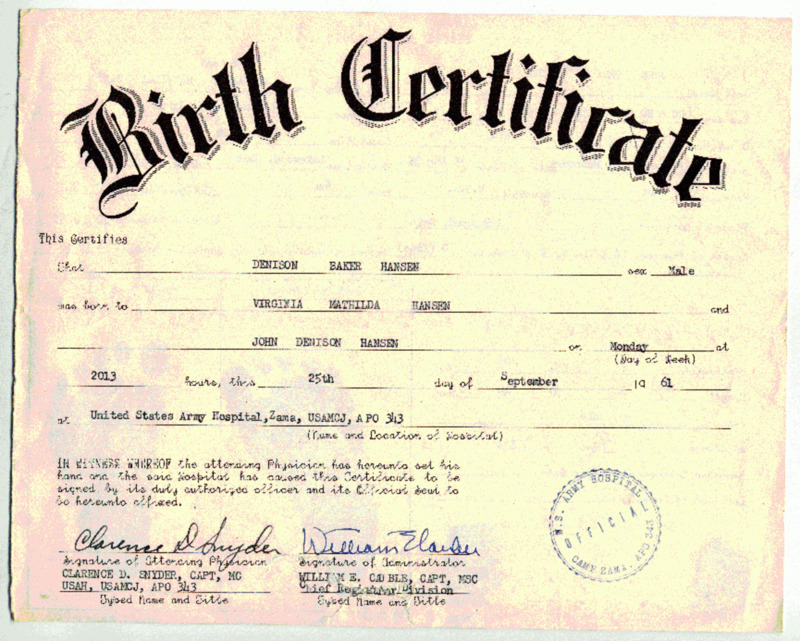 The candidate could retain his current identity or venture on to the Left Hand Path to Shambhala. There the candidate would be able to reside in the Realm of Satan since he has rejected the idiosyncrasies and hypocrisy of the everyday world. The Ancient Arabic Order of the Nobles of the Mystic Shrine also had a similar rite that was performed within the Order's Mosques. To become a member of this order a Mason must reach the 32nd level of Freemasonry. To make sure they would not be charged with Heresy the Nobles refer to the Devil's Pass as territory where they are able to "worship at the shrine of Islam." After the candidate completes the right and achieves his degree, he has chosen The Left Hand Path, choosing Hell instead of Heaven. This might be shocking to Americans who are unaware of the relationship between members of the Government and their membership in Secret Societies. You would not expect old men in Fez-Hats to be involved in such dubious rituals. One of the most fascinating aspects of these rites is the choice that the candidate has to take the "Left-Hand Path to Shambhala." In the mysterious dogma of these Secret Societies Shambhala is a city of an underground realm. In this Kingdom beneath the earth's surface there resides an omnipresent and All-Seeing Ruler. He is claimed to be King Of The World and is known by many names, some call him Sanat Kumara, while others refer to him as King Satan. This is not as unbelievable as it sounds. The Bible calls Satan "prince" and "lord" and states that he holds influence over this fallen world. 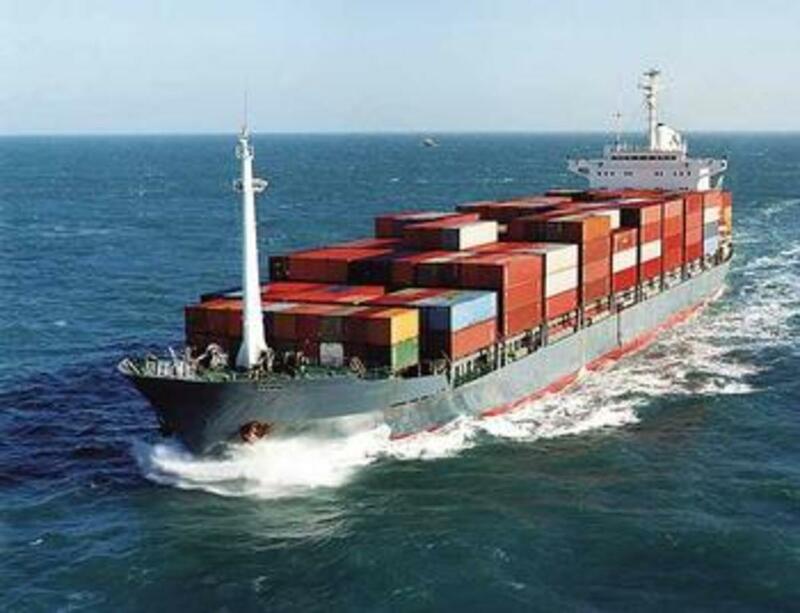 In Eastern Traditions, the King Of The World holds rule and influence to the surface of the earth. Supposedly he has eight million devotees that are used to carry out his whims. All this is done without the earth's population being aware of the fanatics. There was one of these fanatics that held a considerable influence over the President of the United States, it was his Secretary of Agriculture Henry Wallace. Henry Wallace received many of his ideas when he began to follow a Guru by the name of Nicholas Roerich, Roerich was a well known Russian Painter and a Mystic.He was the kind of adventurer and occultist he traveled through Nepal and Tibet studying under various Lamas in Buddhist Monasteries in these countries. Similar to Madame Blavatsky, Aleister Crowley andG. I. Gurdjieff, Roerich he spent many years searching for the Lost City of Shambhala. Myth has it that the city of Shambhala is the dwelling place of the Ascended Masters and Secret Leaders of the Great White Brotherhood. This Brotherhood is the force behind the shaping and the instructions of the Freemasons, the Sufis, the Knights Templars, the Rosicrucians, the Hermetic Order of the Golden Dawn and the Theosophical Society. Wallace and Roerich both belonged to the Theosophical Society, it was in this Society that Wallace met his Master Nicholas Roerich. The Great White Brotherhood supposedly used Roerich as a Messenger. He even brought a strange stone to the League Of Nations, claiming he received it from his Ascended Masters. The legend says that this 'Chintamani Stone' was a magical piece of a meteorite that came from a Solar System in the constellation of Orion. 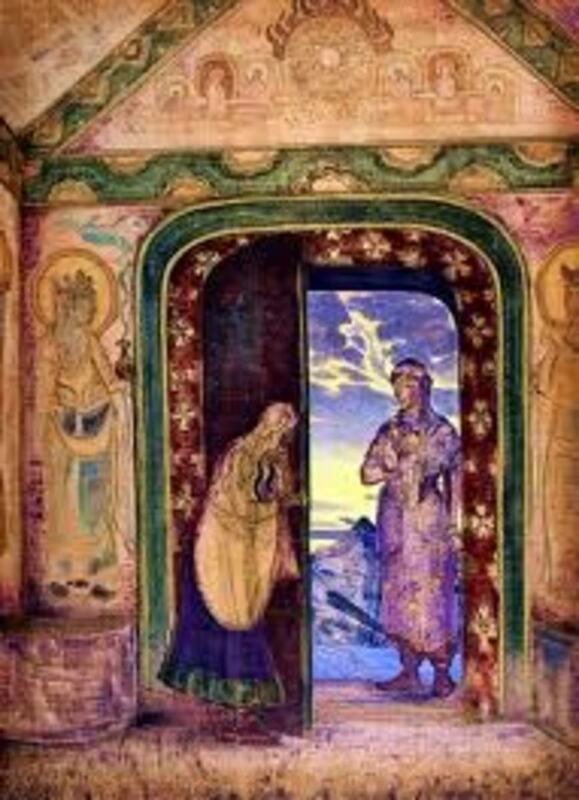 Roerich claimed that the stone was sent wherever a mission of spirituality that would be vital to humanity is to occur, once the mission is completed the stone must be returned. In a letter to Roerich, Wallace mentioned this Stone of Mystery“And I have thought of the admonition 'Await the Stone.' We await the Stone and we welcome you again to this glorious land of destiny.” Most Occultists agree that it was Roerich who influenced President Roosevelt in the placing of America's Great Seal with the All-Seeing Eye. 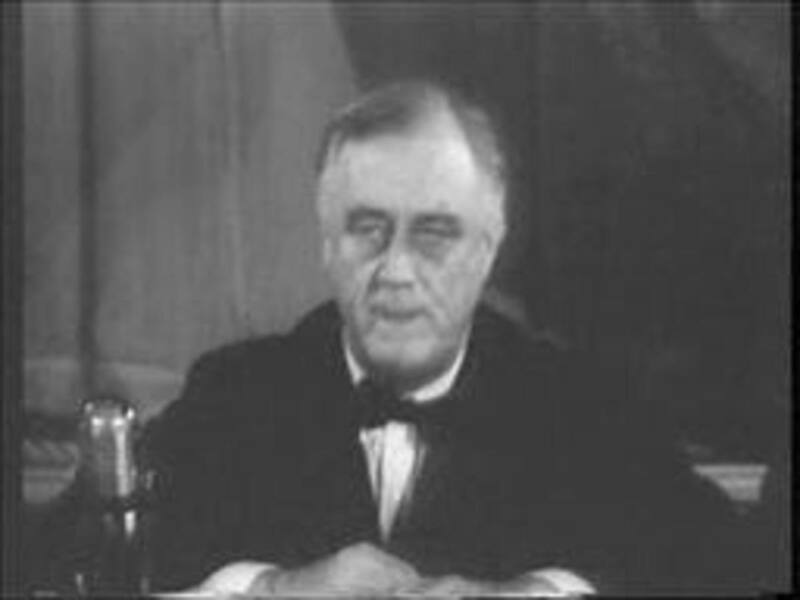 It was through Wallace's persistence that Roosevelt eventually agreed to print the All-seeing Eye on the American dollar. The Chalice is a representation of the Holy Grail, The Rosicrucians saw the Chalice as a feminine symbol for the embodiment of perfection. The start of the Aquarian Age is what is referred to by the term 'the age to come'. Aleister Crowley considered The Age to come to mean the same as the "New Age of Horus". It would appear that Novus Ordo Seclorum and Annuit Coeptis has meanings in Occult Societies that the average person is not aware of. When the placing of the Reverse of The Great Seal was completed by the three wise men, It proclaimed to the world that America was on The Path of Spiritual Evolution. It was believed that humanity was being transformed to a higher level of awareness. Considering how deeply both Roosevelt and Wallace was connected to Occult Philosophies, as well as Wallace's association to Theosophy, they had to be aware of Alice Bailey. Alice Bailey was one of the most respected Theosophist of her time. She had declared in 1932 that the Aquarian Age was upon us. The Reverse of The Great Seal was a Symbol to be a Mandala proclaiming the "New Age of Horus". There is no doubt that they were aware of the significance of the symbol. Since the Secret Societies had already formed the Federal Reserve, they already controlled the Nations Currency. Roerich made claims that he was able to channel the Ascended Master El Morya, a major figure in the Assemblage of Theosophy. Roerich stated that he was merely doing the bidding of the Ascended Masters. Apparently after his death it was believed that Roerich himself ascended in joining the hierarchy of the ascended Masters essentially becoming an equal to a Catholic Saint. Elizabeth Clare Prophet now claims to be able to channel Roerich himself with one message having been received on October 28, 1990 at The Roosevelt Hotel. The Societies of Mystery use symbols as a language. Men throughout the ages have tried to communicate their thoughts to each other by a means other then spoken language. Those who feel themselves enlightened choose Symbolism as a more intelligent and effective way to transfer their transcendental knowledge. A symbol can have profound meaning to a person who has been schooled in the Mysterious Ways. The average person will see the same symbol and perceive nothing out of the ordinary. Therefore those who seek levels of higher understanding of ancient ways do not need to place their trust in the written word where it may become known by those who are unworthy. The Seekers need to look for knowledge in those places where they were originally concealed. The idea of symbols is an interesting topic, take the All-Seeing Eye, the Eye of Horus, or the Eye of the Mind. All these symbols are based on the Egyptian Religion of the Light. If a person were to take notice they will see representations of the All-Seeing Eye everywhere in society. From Corporate Symbols to ingrained into the architecture of historic buildings and monuments, The All-Seeing Eye can be found everywhere. Why does Dollar Bill Have a Pyramid and All Seeing Eye on it. The Great Seal to announce the creation and destiny of America! The Reverse of the Great Seal is an incomplete pyramid. Its representation is that of humanity itself, being imperfect and incomplete. Floating above the pyramid is the Holy Symbol of Esoteric Orders, the Triangle containing the All-Seeing Eye. There is only one explanation for the origin of these symbols, Secret societies which immigrated to this country one hundred and fifty years before the Revolutionary war. This Symbol was inspired by Mysterious Orders to be placed on The Great Seal to announce the creation and destiny of the Nation! The reason that Henry Wallace was so adamant about placing The Great Seal onto the currency of America was because of his belief that the United States was achieving a great turning point in history. He also believed that there were Great Spiritual changes occurring to humanity. He thought that the Great Spiritual Awakening would occur in the 1930s and that awakening would bring in the Ultimate One World State. Dr. Robert R. Hieronimus received a doctorate in 1981 for his research on the meaning and history of The Great seal. 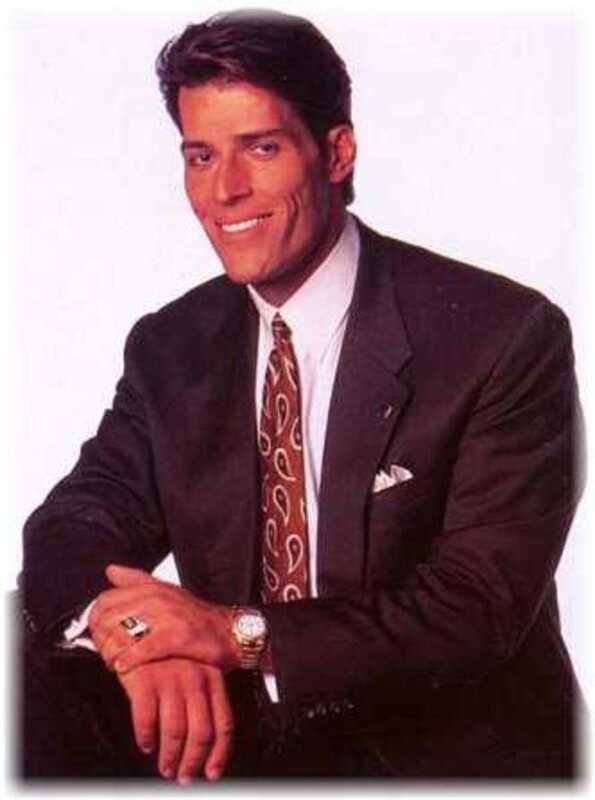 Dr. Robert R. Hieronimus did research on a wide spectrum of subjects pertaining to the Great Seal. 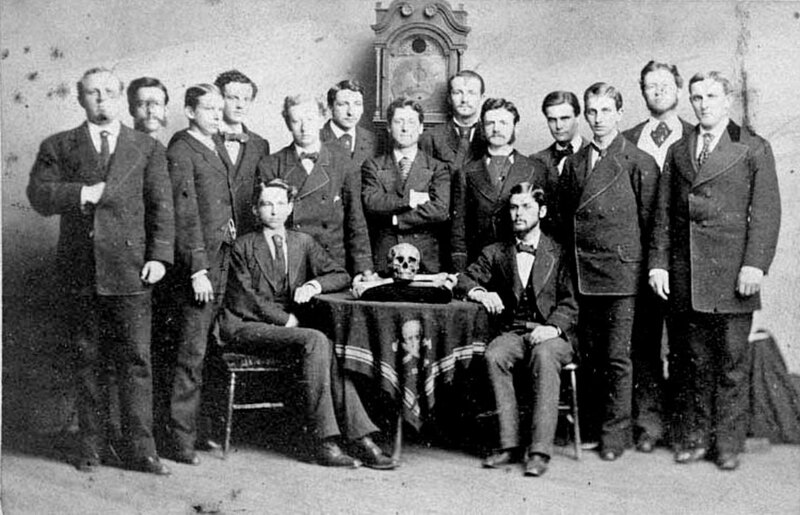 I do not think that any individual that has lived on this planet has done more investigations to reveal the mysteries concerning secret societies in the history of the United States of America. He looked onto the Rosicrucian and Freemason beliefs of the American founding fathers. He determined that the Great Seal is an initiatory mandala to signify the beginning of a national and global transformation. Symbol of the Left Hand path! The Left Hand Path is a system of beliefs who seek guidance from one or several deities through religious rituals. Not only do they seek to gain knowledge, they also hope to achieve greater powers of instinct and logic. There are some followers of the Left Hand Path who wish to become closer to their archetype/deity, there are others who wish to become a divinity themselves. Left Hand Path Religious Systems use a deity more in a symbolic context. The individual participating in the system uses it mostly for their own independence. It is with difficulty that one could integrate both the religious and non-religious aspects of the Path. Both groups share a common goal, the only difference between the groups is their method of practice. There is a multitude of stories concerning Shambhala and the "King of the World" that was spread throughout Theosophical Societies at the turn of the 20th century. The exact location of Shambhala is contested by the many Secret Societies that claim its reality. There are some who consider it a non-physical realm that can only be accessed through the mind. Madame Blavatsky claimed to have made contact with a Great White Lodge of Himalayan Adepts, she mentions Shambhala many times without giving any specifics about it. Shambhala as told by Blavatsky is a real physical location like the headquarters of the Great White Lodge, but can only be accessed by a worthy aspirant. Alice Bailey and the Roerichs both stressed the existence of Shambhala. Bailey thought of it as a kind of extradimensional or spiritual reality. The Roerichs felt it existed in both the spiritual and physical worlds. There are many 20th century occultists who consider Shambhala as a place of negative energy by an evil entity involved in a global conspiracy. There was a Black Stone of the Ka'abaof Mecca and also of the Ancient Shrine of Cybele (The Mother Goddess) of the Near East that many occultists felt was a piece of amagical meteorite (The Chintamani Stone). This stone was believed to have come to earth from a solar system in the constellation Orion, most likely Sirius. Tibetan Buddhists believe that a piece of this stone is sent whenever a spiritual mission that is important to the human race occurs. when the mission is completed the stone returns to its origins. Nicholas Roerich stated that he was in possession of one of these stones at the failed League of Nations. Some of Henry Wallace's letters to Roerich fell into the hands of his political opponets. They were not disclosed in 1940 when Wallace ran as Roosevelt's Vice President during his third term. When Wallace decided to try to run for President in 1948 under the Progressive Party ticket. The letters were released to the press. Symbol of the New World Order! The All Seeing Eye is perhaps the oldest symbol of a deity. The Triangle is an ancient Cabalistic symbol. The descent of the mysterious eye combined with the triangle in the form of a capstone to this monument is very significant to people of all times and Nations. 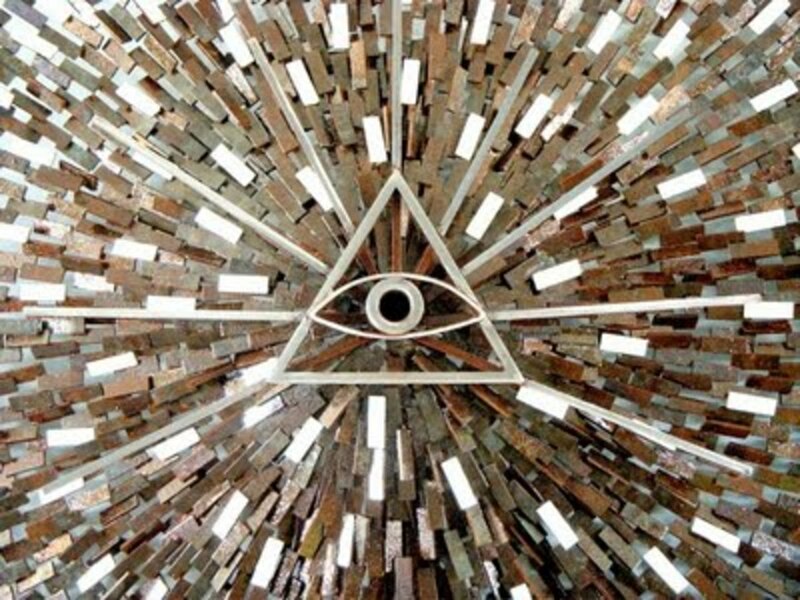 The quotation ‘Novus Ordo Seclorum' is an alteration of the term Magnus Soeclorum Ordo, which means a mighty order of the ages born anew. The Egyptians thought of the All-Seeing Eye as a symbol of the god Osiris the Creator. Osiris was symbolized as an Eye over a Sceptre. 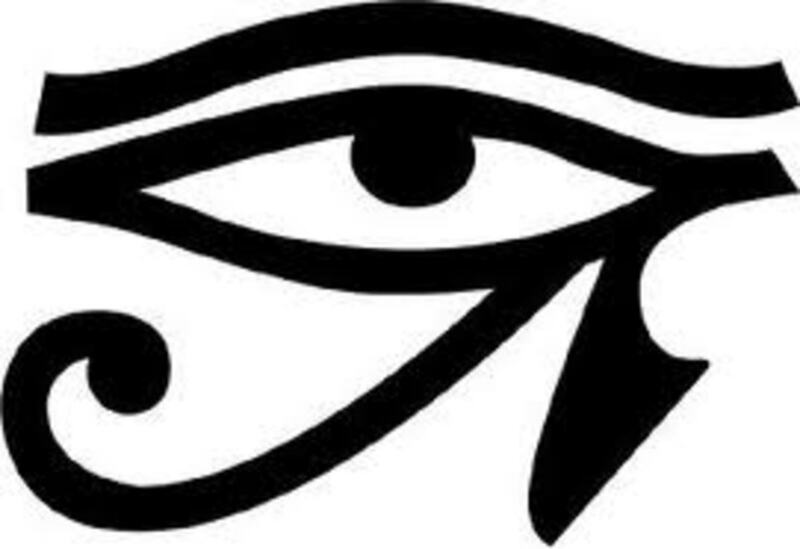 The All-Seeing Eye is also known as the Eye of Horus or the Utchat Eye, it is a symbol of the Egyptian God Horus as well as his father Osiris. Satanists refer to the 'mal ochio' (evil eye) and is a symbol of Lucifer. The Greeks thought of the Sun as the Eye of Jupiter or the Eye of the World. The Bible story claims that the serpent made a promise to Adam and Eve that their Eyes would be opened if they ate the fruit of the tree of knowledge of good and evil. In Hebrew the word "eyes" can be translated as Knowledge. The word opened can be translated as Broadened. So in essence what the serpent promised Adam and Eve is that they would broaden their knowledge if they consumed the fruit from the Tree of Knowledge. The most mysterious part of this story is that the Hebrew word for "Eyes" is not in plural form but in singular form. So technically what the Serpent relayed to Adam and Eve was that their Eye would be broadened by Knowledge. This Eye referred to in scripture is not the organ of sight, it is the eye of the mind or soul. The Hindu Religion calls this singular eye as the Third Eye of Premonition. It is called the Eye of Horus in Egypt. It is the All-Seeing Eye in the Freemason Society. There are many Societies today although they are not related, they make claims to be chapters of an Original Mystery Religion. They use the same symbols like the All-Seeing Eye. They also believe that they possess the same knowledge of the so called Secret Doctrine. This symbol may be representative of a God, But it is not the God described in the Bible. It is a Human Eye and it is an illumination that it is Man that is God. Alice Bailey wrote that the expression The All-Seeing Eye is in reference to the Planetary Logos to be used to see all all forms of the planetary vehicle. The Planetary Logos as described by Alice Baily is a Trinity of Satan. The order of the Trinity is as follows. It is the Eye of Shiva which is the All Seeing Eye and is the eye which commands the Will Of Deity. There is no doubt that Roerich knew exactly what purpose the symbol was to represent. It is representative of the Spiritual Future of the United States. The All Seeing Eye symbolizes the Spiritual Hierarchy of Light, also known as the Silent Watchers over the spiritual advancement of the human race. Out of the Four Lipka Lords, the one who is closest to our planetary Logos is called the living serpent. The emblem of this Lord is a Serpent of blue color with one eye in the form of a ruby on its head. 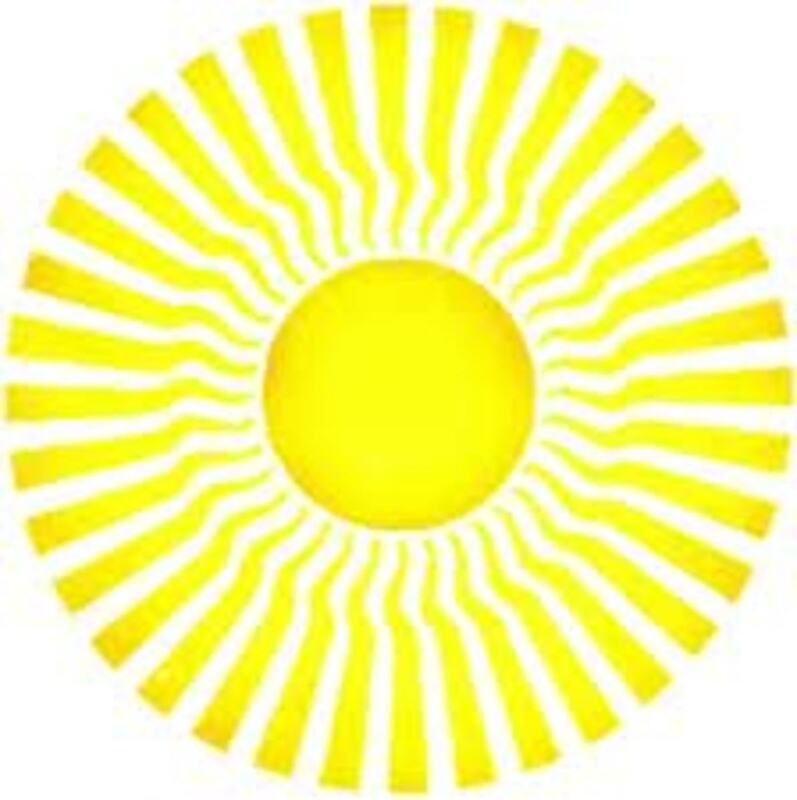 Seekers who decide to use this Symbol can delve further into the knowledge to connect this thought with the Eye of Shiva which sees all and knows all. Any adept can use the medium of the All-Seeing Eye to allow themselves to contact their disciples where ever they are. They would be able to correspond with their associates on the planet along with the third planet which is the earth and form a Triangle. Through the steps of initiation the Seeker develops a communication with the Planetary All-Seeing Eye. yes all of this for the agenda 21,one world government,our area is being poisoned by gas companies ,we have all water tests showing the fracking chemicals and uranium in our water,PADEP and EPA refuse to enforce clean water laws against the money,sick people,we have the highest MS cases and I my self have tumors and endocrine issues,they are killing off people to take all,they are stealing precious metals when they take out the gas,and pocketing with out paying the people,government knows this and again won't enforce laws,the metals are worth more than the gas,we should really be concerned about our free nation. The incomprehensible thing about this world is that,its comprehensible...this is the fact! CatholicMason My story is how the seal ended up on our currency. There is a great story I know about where the seal actually came from. Maybe in the future I will write a hub describing the actual production of the great seal. The "EYE" on the US dollar bill was accepted by Congress as part of the US Seal in 1782, but wasn't adopted as a Masonic symbol until 1819. Even more important is that the Seal of the United States was designed by non-Masons. On Independence Day, 4th July 1776, a four-man committee was formed to design a seal for the new country. The men were John Adams (non-Mason), Thomas Jefferson (non-Mason), Benjamin Franklin (Mason) and the artist Pierre du Simitiere (non-Mason). The American government records show that Benjamin offered "nothing" of any Masonic nature to the designs considered. It was Simitiere who contributed the desnged to the committee, which were accepted and included the Eye of Providence within a triangle. Congressional consultant John Hopkinson (non-Mason) and artist William Barton (non-Mason) -- under the supervision of Secretary of Congress Charles Thomson (non-Mason) -- made the final alterations and design configurations to the US Seal. Charles Thomson stated: "The Pyramid signifies Strength and Duration; The Eye over it and the Motto allude to the many signal interpositions of providence in favour of the American cause>"
"Annuit Caeptis" means "somebody [probably Providence, because of the Eye] has nodded at [our] beginnings"
Thanks for such a good hub. You a lot of good information.